When a hero falls, Wilbert is there. Our “Commemorating First Responders” program provides families of firefighters, law enforcement officers and emergency medical personnel who have died in the line of duty with a tribute worthy of their valor and sacrifice. 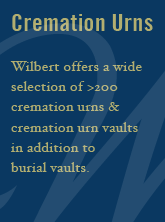 At no charge to the family, Wilbert and our licensees donate a customized Wilbert Stainless Steel Triune® burial vault. 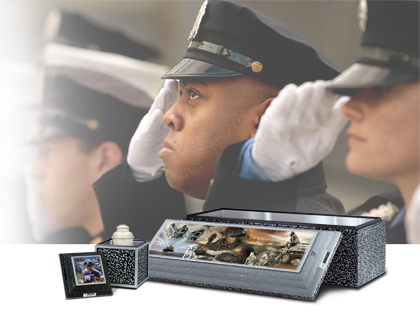 If the choice is cremation, we offer a selection of four urns, as well as a Stainless Steel Triune urn vault for memorial tribute. If permitted, a WilbertWay® graveside service may also be included. Join us as we help families honor heroic lives, sacrificed in valiant service to neighbor and community. Contact your local funeral professional for more information.